Take a dash of Suikoden’s world-building, add some Grandia-style combat, stir it all in with the setting and social links of Persona, and bam, you’ve got Trails of Cold Steel, which comes out for PS3 and Vita today. If you’re new to the series, you can either start with Trails in the Sky First Chapter on PC/PSP or this one, Cold Steel, which is on PS3 and Vita. Both trilogies are set in the same world and feature some crossover characters but tell different stories. Trails in the Sky SC, you might remember, is the game that took four hellish years to make it to North America. All of the Trails games are slow burns—prepare for a whole lot of reading—and they’re also the closest we’ll get to new Suikoden games in the modern era, so goddamn if I won’t keep preaching about them. 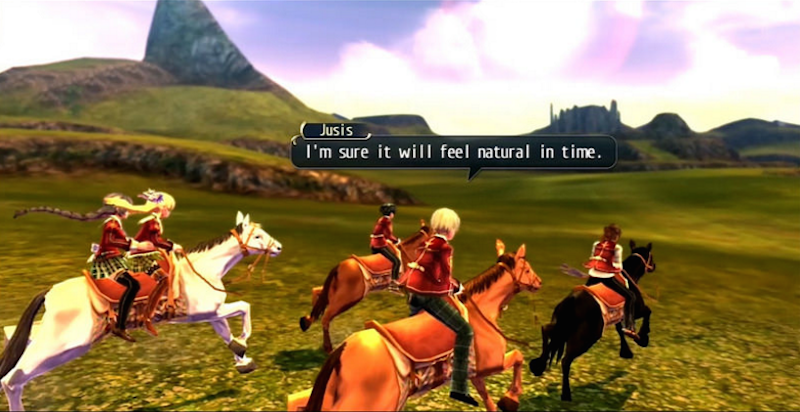 Trails is comparable to Suikoden in both charm and scope. I’ll surely have more to say about Cold Steel as I play more over the next few weeks and months, so stay tuned.